This photo is of my father back in the 1970s during a visit to Kitaboshi Pencil Company in Tokyo, Japan, where I actually visited today. He is being presented a guitar produced using California Incense-cedar by a member of the Sugitani family who are customers using our pencil slats for their products. This gentleman is now retired, but I happened to see him today, he says he still plays guitar every day and had that guitar specially commissioned for my father as a gift. Look for my upcoming post about the history of Kitaboshi Pencil and their products that we will begin selling on Pencils.com next week. California Incense-cedar used in our pencil slats, our customers’ pencils using our slats (and in this one of a kind guitar) is fully compliant with the US Lacey Act which is the main subject of this post. At issue is the application of the 2008 Amendment to the Lacey Act, a law originally established in 1900 governing the illegal trafficking of hunted wildlife and game across state lines and since inception has continually expanded in scope and breadth to cover fish and plants. The law is administered by the Animal and Plant Health Inspection Service (APHIS) within the U.S. Department of Agriculture and jointly enforced with U.S. Department of Fish & Game which is the lead agency in the case against Gibson Guitars. Under the 2008 amendment the law was extended to plants, wood and products made from wood and plant materials. The amendment requires importers of applicable products to certify that the wood materials used in their products were not obtained from illegally harvested materials or include any protected or threatened tree species. The amendment implemented a number of documentation and declaration requirements that must now accompany each import shipment with respect to specific species used, country of origin of the trees from which the wood product was produced and statements relative to the legal harvesting of the trees used in the. Knowingly importing wood or wooden products covered by the law is a violation of the law subject to both civil and criminal penalties. Heralded as an improvement in environmental policy the amendment was also supported by the Bush Administration as a protectionist measure for the US timber and wood products industry against lower cost imported woods. While I have no specific knowledge of and cannot speak to the specific issues involved with Gibson’s case I can certainly state that illogical and inconsistent application of the rules process by government agencies responsible for enforcing the Lacey Act is a ripe example of the “law of unintended consequences” as with much government regulation. CalCedar has been deeply involved in addressing the 2008 Lacey Act amendment relative to compliance of our own pencil wood supply as well as understanding the impacts of the law on our company, our customers and the pencil industry supply chain as a whole. We have long taken an industry leadership position in assuring the wood resources we utilize are harvested from well managed forests according to applicable rules and regulations in any countries we source our wood from. We have and continue to support industry efforts to increase the overall sustainability and have been a pioneer in implementing FSC and SFI third party certification to an increasing proportion of our wood supply. Thus in concept implementation of the Lacey Act amendments in 2008 was a step in a positive direction with a goal of eliminating illegally sourced raw material or utilization of any threatened plant species. Though the standards applied as to what’s illegal or legal or threatened or not can vary from country to country as the Lacey Act simply requires compliance to the applicable laws in the country of harvest. Thus the level of added environmental protection here is inconsistent from country to country. The Lacey Act requirements added a whole new level of documentation and due diligence required for us to supply slats to our US based pencil manufacturing customers. This included updated investigations and documentation of our wood supply chain and added costs of consulting in the investigation with an accredited third party certification agency as to appropriate precautions including the added burden to segregate and/or eliminate any wood of potential concern and to maintain clear chain of custody of all our through the supply chain. All of this was already occurring with respect to our FSC and SFI material in both Cedar and Basswood, but we felt it important to apply these processes to the balance of our Basswood supply chain. Where we could not clearly document exact origin we sorted out the material to create yet another classification of inventory. Thus with respect to our Basswood pencil slats we now must keep separate inventory and track three different groups of products; FSC certified, Lacey Compliant and standard inventory which we do not believe is a compliance concern but will not take the risk of selling into the US market without clear chain of custody back to the forest. However, this burden of declaration documentation was not extended to the importers of pencils themselves. Thus wood sold to our customers who produce pencils in the US is subject to the documentation requirements while finished imported pencils are not, placing an added burden on U.S. pencil producers. Given that the majority of pencils consumed in the U.S. today and before the amendment took effect were imported this inconsistent application of the statute to intermediate vs. finished products hardly serves to protect US manufacturing jobs or to ensure that the majority of pencils sold in the US are indeed Lacey Act compliant. This does not mean many or even most pencils are not compliant, just that the chances are higher that they could be. As far as musical instruments are concerned importation of pianos and stringed musical instruments, including guitars, seem to have become subject to the documentation and declaration requirements in April 2010, so in this case it appears the compliance playing field may be a bit more level between US and Foreign producers in that industry. Next, the rules are not very specific on the level of sufficient due diligence to protect an importer from prosecution and civil and criminal penalties under the act. The “due care” principal is used which is generally contextually applied depending upon the level of organizational expertise and level of involvement in the supply chain of the importer of record. Thus as an experienced wood products manufacturer standards for “due care” applied to our company may be interpreted by the relevant agency differently than that of an importer of finished pencils who tends to rely solely upon the level of documentation they choose to request from their supplier. In many cases such suppliers are simply foreign trading companies, not manufacturers themselves, relying on the say so of their own supplier. With much pressure put on the price of imported pencils and other wood products this provides some level of incentive to less ethical suppliers to fudge in the information provided to their U.S. import customer. If a U.S. importer does not perform an on the ground investigation or use a knowledgeable third party certification agency, which is not specifically required under the statute, and simply relies on the paperwork provided by their supplier, they may be at some elevated risk of exposure to prosecution as to whether they employed “due care” in the event there is ultimately some problem found with the legality of the raw materials. This essentially becomes a risk management exercise for each importer with differing levels of risk tolerance and exposure. Finally, as a knowledgeable U.S. company operating our own facility in China and selling globally we are more at risk of punishment under this U.S. act than are our foreign competitors. It’s going to be difficult for a U.S. importer penalized under the act to recoup any fines even if they have some form of guarantee. As such we’ve taken a more conservative approach to managing this issue in our company. This is also more costly than most of our foreign competitors especially those who are exporting finished pencils to the US where no specific requirements for their U.S. import customers to file the import declarations. This does not mean those pencils are not subject to requirement to be legally harvested, but they have less risk of being challenged as to compliance. As a company we are continually working to insure that an increasing portion of our wood supply to the pencil industry actually is part of one or more accepted third party certification programs, most specifically FSC or SFI, under the PEFC umbrella. Given both inflationary cost and supply developments with respect to Basswood in China resulting from the Chinese government now enforcing greater harvest restrictions we are currently testing and introducing a new 100% FSC certified product line named Pacific Albus. This new product is U.S. plantation grown and fully Lacey Act compliant. We see Pacific Albus becoming increasingly important versus Chinese or Russian grown Basswood in our company’s supply program and is a product that will be proprietary to our company. I expect to post more about this new product range as we move forward with greater adoption and acceptance into the industry by our customers. Sometime next week, tentatively on November 2nd, we’ll be introducing a few select items from two Japanese brands on Pencils.com; Kitaboshi Pencil Company and Tombow. The selection includes several great items for the holiday gift giving season. You can learn more about those specific items in an upcoming Studio 602 story early next week. This expansion of brands at Pencils.com is a part of our continuing effort to introduce more of the products of our pencil slat customers’ from around the world. This allows us to increase the breadth of great high quality pencil offerings on Pencils.com, some of which are not readily available or well known in the U.S. Market. It also helps increase awareness and appreciation of some great pencils and of the wood-cased pencil in general. Given our close relations as a wood slat supplier to many producers around the world, we hope to continue growing our offering mix quite a bit over the next year. This week also marks my annual visit to Tokyo to visit a number of our pencil slat customers and to work with our Palomino and Blackwing producer about production planning and product development for new pencil items we expect to introduce in 2012. Most notably a Palomino quality, private label pencil program, though we’ll share more about this in the coming months as that program moves closer to launch. The Japanese Pencil industry is probably one of the most interesting domestic pencil industries in the world. Relatively young by comparison to its European and US counterparts with several brands dating back 100+ years, most Japanese production and development of wood-cased pencils began in the post World War II era. Over the past 20 years the industry has been subject to many of the globalization pressures faced by other developed western markets it also faces an extra challenge of demographic trends; a declining and aging population which means the consumption of pencils in Japan is actually declining year to year and has been for some time. Japan is the highest cost pencil production market in the world which is reflected in their prices. As a result very little exportation of Japanese wood-cased pencils is occurring, so the local market dictates overall production trends domestically. 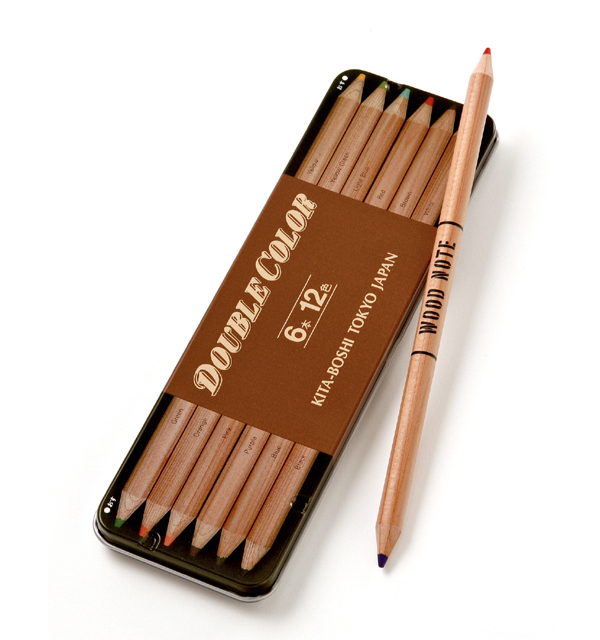 (In fact Pencils.com with our Palomino and Blackwing products and more Japanese pencils coming may be one of the largest volume export distributors to North America already.) Despite these trends the Japanese production supply chain remains relatively intact and traditional without the degree of radical makeovers of mergers, acquisitions, or the extent of off-shoring production that the industry has witnessed in North America and Europe. Yes, there are certainly fewer producers over time, with several dropping out over the pat few years, but the basic structure has been relatively static. Also taken in context of relative market size vs. Europe and North America there are actually proportionately more Japanese companies actively involved in the production of pencils and pencil components in Japan today than in these other regions. Why is this? Several factors contribute. First, Japan is a high quality and brand loyal market with consumers who understand the difference between good and bad pencils and are willing to pay the difference. The 100 yen pencil is quite common and Beyond the major brands, Mitsubishi with its Hi-Uni and Tombow with it’s Mono, there has long been a unique demand for specialty pencils that also give a collectibles status such as “Character Pencils”, popular Disney, Pokemon and Anime characters licensed to either a pencil producer or a marketing company that contracts a local producer to produce their pencils. “Game Pencils” which treat the 6 sides of the pencil as a sort of die which children can roll against one another and win each other’s pencils. And a whole range of designer theme pencils. Such innovations were first made popular in the Japan before being adopted by some US companies focusing on the school pencil market as they attempted. Even if a marketing company has the rights to a character they most generally still use a Japanese sub-contractor for quality reasons and there have been a few lessons learned about the expectations of the Japanese consumer when the quality of an imported character pencil was not up to par. In the US, more and more of such license or designer theme pencils are imported by marketers from lower cost manufacturing, with just a couple companies actively producing such pencils in the US today. In Japan all the companies are involved in this segment of the market. Second, the unique structure of the Japanese industry involves a variety of specialist subcontractors, some who only specialize in one or two parts of the manufacturing process, such as wood-working, lacquering and finishing, graphite & color core production or packaging. Larger companies such as Mitsubishi and Tombow and mid tier producers such as Sakamoto and Kitaboshi use these often more nimble or uniquely skilled sub-contractors to meet special processing needs, smaller production run sizes and do quicker turnaround on orders. The character pencil marketing companies as well as some branded pens producers such as Pentel rely entirely on sub-contractors for their wood cased pencil needs. Such a structure helps to shorten the supply chain vs. imported pencils in the changing specialty, novelty pencil market. All of these sub-contractors are small family owned companies operating essentially in a building that co-locates production with their own homes. They are more like traditional artisan workshops than what the average person would picture as a factory. The owners of these businesses are highly skilled and knowledgeable about their business. The extreme care and detail they speak with in discussing the technical aspects of doing this or that operation in the manufacturing process can be a truly amazing experience. Generally their home and factory debt has long been paid off and though their equipment is old and slow they are the best at what they do. Still this industry structure faces several threats which are a factor of both the demographic and competitive globalization trends over time. As the overall market shrinks and largest producers feel pressure from lower cost pencils they tend to keep more production in house to retain their economies of scale, thus slowly squeezing some of the subcontractors out. Mainly, focused on non-pencil products such as pens, markers, correction tape, etc. these companies still feel their pencil business is important and need remain the most efficient volume producers. Some have set up off-shore production of certain pencil components or assembly operations for some products in Vietnam or China, similar to western producers who have gone multi-national in their operations. Over time the mid-tier companies have adapted by focusing on introducing new products to diversify their business away from pencils into complementary novelty items, by broadening their sales distribution channels or dropping certain manufacturing functions to use subcontractors, etc. Finally, as the business owners’ age in the sub-contractor segment, often the 2nd or 3rd generation family members are not interested in continuing with the same passion as their parents, so these businesses also tend to shake out due to lack of management succession or natural selection of a sort. As a wood supplier to the Japanese Pencil Industry for three generations, our company is always conscious of these challenges. We value the close relationships we’ve built with many of these companies and families and salute their commitment to producing the highest quality wood-cased pencils. Adding and promoting more pencils produced in Japan to our Pencils.com offerings is just one small way of supporting these friends in the industry. They produce some of the most unique and interesting novelty pencils in the world and in time we hope to make this collectable segment a larger part of our offering in addition to some of the branded items we’ll be introducing in the coming weeks and months. We hope you’ll help you’ll join us in our Japanese Pencil Celebration event in November at Pencils.com.